"When seventeen-year-old Nedra Brysstain leaves her home in the rural, northern territories of Lunar Island to attend the prestigious Yugen Academy, she has only one goal in mind: learn the trade of medicinal alchemy. A scholarship student matriculating with the children of Lunar Island's wealthiest and most powerful families, Nedra doesn't quite fit in with the other kids at Yugen, who all look down on her. Grey and Nedra continue to grow closer, but as the sickness spreads and the body count rises, Nedra becomes desperate to find a cure. Soon, she finds herself diving into alchemy's most dangerous corners--and when she turns to the most forbidden practice of all, necromancy, even Grey might not be able to pull her from the darkness." This book sounds so amazing and I have to have it. 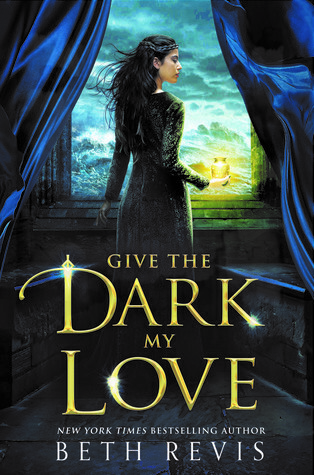 Give The Dark My Love will be released on September 25, 2018. Oh nice! Seeing a lot of this one lately! I'm still on the fence about it but keeping it on my radar! Hope you will absolutely love it once you read it! I just came across this earlier. It does sound good. Lovely cover too.